In 2016, the City along with the assistance of the community, industry consultants, and varying research developed a Transportation Master Plan. This plan identified the City’s transportation and transit deficits and developed a blueprint of solutions to address the community’s desire for enhanced multimodal options to accommodate transportation needs. 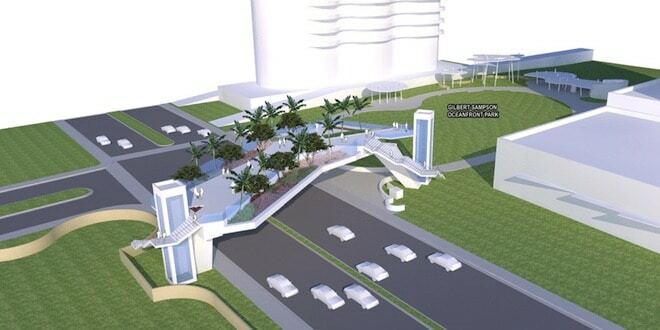 This included a Pedestrian Park Bridge at Collins Avenue and 174th Street. 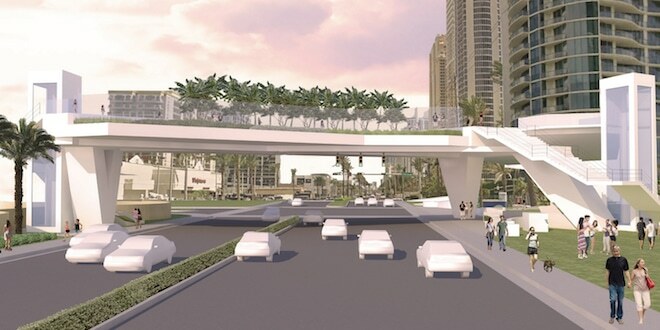 With the Transportation Master Plan as the guiding force; the City engaged a Study Advisory Committee of transportation planning professionals to evaluate the feasibility of a pedestrian overpass at Collins Avenue and 174th Street, one of the busiest intersections in the City. The work developed by this committee was presented at a public meeting Wednesday, January 30, 2019 where citizens provided their input on the proposed pedestrian overpass and discussed their ideas, requirements, and desires for this new project. 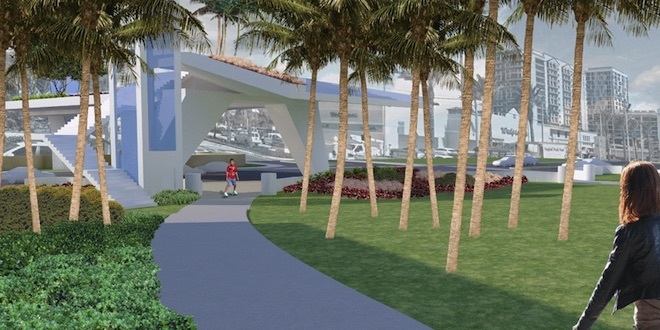 This pedestrian overpass would connect the west side of Collins Avenue in a safer and smoother manner with the east side of Collins Avenue, allowing residents and visitors to cross over Collins Avenue rather than waiting for the light, hindering the flow of traffic, and relying on attentive drivers for their safety. This new bridge will provide enhanced safety and convenience for both pedestrian and vehicular traffic. The next step in the planning phase will involve submitting the final study report to the City’s Public Art Advisory Committee for approval to move it forward as a recommendation to the City Commission. With their support, the City can move forward with planning for this Capital Improvement Project. The final step will be to submit the complete package with the City’s recommendation to the Transportation Planning Organization. The City will continue to provide updates on the development of this project through our monthly newsletter, SIBIslander, eSIBi email blasts, and on social media (Facebook, Twitter, Instagram, and YouTube). 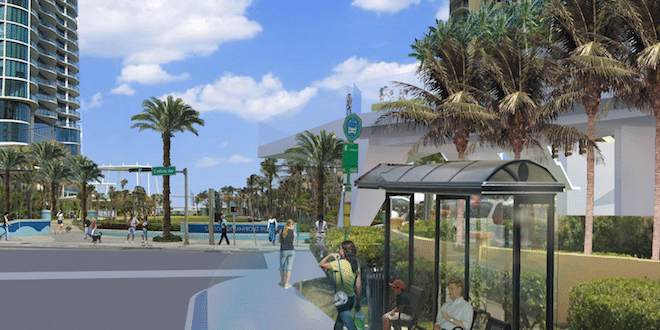 Questions regarding this project can be directed to the City’s Planning and Zoning department at 305.792.1740.